iPhone Vs Android. Which is Better? All Technology Questions, Reviews and Articles here! what phone are you using or do you prefer to use? 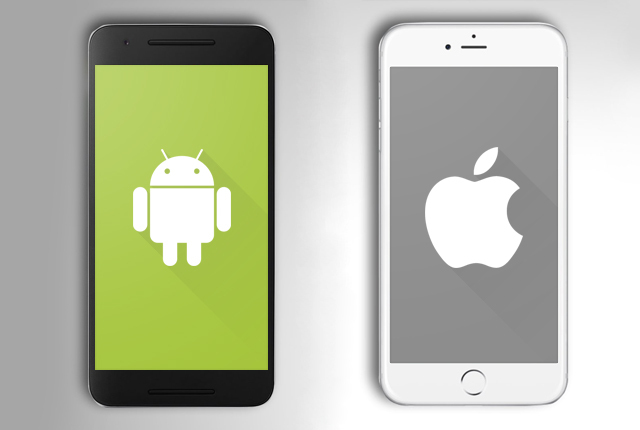 iPhone or Android? This is a big question where some people are only apple fans and use apple products while on the other side there are those that are android fans and use only android products. Personally, I'm an android user and really don't like iphones because they are highly overated and very expensive. The only good point with iphones is they have very good apps but besides that, I don't see the reason why iPhones are hyped up so much. There are so many nice android phones like samsung,LG,Motorola but especially smasung. So which side are you? iPhone or Android?? Re: iPhone Vs Android. Which is Better? I will go with Android because of flexibility and prices. The last time i checked, the iPhone X was launched at the eye watering price of US 1,000 dollars! Now, I'm not the type who would spend 1,000 dollars on a smart phone!!! For about 300 dollars or 350 dollars, or even less, you can get a very good android handset- a samsung,LG,Moto,Sony Experia, etc. For that matter, I don't see myself being a fan of iPhones or Apple products. I love good bargains and practical products and that's why i go with android. iPhone is definitely the better of the two/ I have used both android and iphones and i can say that iPhones are alot better and the apple store has better apps and better games than Google Play store. Yes i agree that iPhones are expensive but then you get what you pay for. The quality is very high and therefore worth paying a high fee as long as you can use the phone for 1 or 2 years. Its definitely worth it.